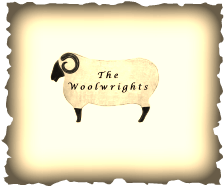 Woolwrights is a chapter of the Association of Traditional Rug Hooking Artists and to become a member of the Woolwrights, you are required be a member of the ATHA organization. You may join ATHA online at atharugs.com or by contacting Joan Cahill at jcahill29@aol.com by mailing a printed check or money order in the amount of $32.00/US or $34.00/Canada to Joan Cahill, Membership Chairman, 600 1/2 Maple Street, Endicott, NY 13760. ​NOTE: IF YOU WISH TO HAVE YOUR MEMBERSHIP CARD SENT TO YOU, PLEASE INCLUDE A STAMPED SELF ADDRESSED ENVELOPE WITH YOUR PAYMENT.